Originally given to students in the Master of Narrative Therapy and Community Work program, this presentation outlines approaches to reducing violence that do not rely on remedies tied to policing and imprisonment. The presentation draws from work done by US-based organizations Critical Resistance and Creative Interventions as well as a pilot project to help communities reduce the violence of policing by reducing contact with law enforcement. Rachel Herzing is an organizer and community educator who fights to reduce the violence of imprisonment and policing. 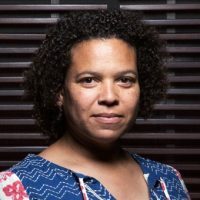 She is currently the co-director of the Center for Political Education, a community resource dedicated to building social justice movement through education, analysis, dialogue, and action.